As England battled Australia in a final of the netball tournament at the Commonwealth Games on Sunday, commentators made numerous references to the role of leadership (both on the court and in relation to coaches), writes Dr Chris Sellars, Deputy Director Institute of Sport & Human Science. This highlights the key role ‘leaders’ play in sport. During competitions, as pressure mounts and the consequences of decisions on and off the field of play become ever more critical (substitutions, tactical changes, seeking to get the last ounces of effort from each player and the team as a whole), effective leadership becomes ever more apparent. But what is ‘leadership’, how does it affect performance and how is it developed? These are questions many researchers have attempted to address for decades (if not centuries) in military, business and other domains, including sport. Over recent decades in sport psychology research there has been a shift from focusing (solely) on the behaviours of the coach (often the focus of leadership research) to considering leadership as an interpersonal interaction (and hence a focus on both leaders and those being lead and the dynamics between them) and also a greater focus on the range of leaders within a team – those formally ascribed leaders such as captains, but also those whose leadership qualities evolve less formally. When things go well, leaders within a team are often singled out for praise; but the converse is also true – when the wheels come off, it is often the coach or captain that comes in for special critical scrutiny. Therefore, better understanding how leaders raise group and individual performances seems an important focus for spirt academics. Recent work has focused on the role of ‘inspiration’ – how do leaders inspire their colleagues and what are the impacts of this on performance and performer satisfaction? This emanates from a broader body of work focusing on ‘transformational leadership’. This will continue to be a major focus within sport psychology and will help us better prepare leaders for their vital roles. At the University of Wolverhampton we have some world-renown sport psychologists who explore a variety of important aspects of sport performance. Their inputs to our sport courses mean that students are exposed to cutting edge research and applied practice that will inspire them in their future careers. 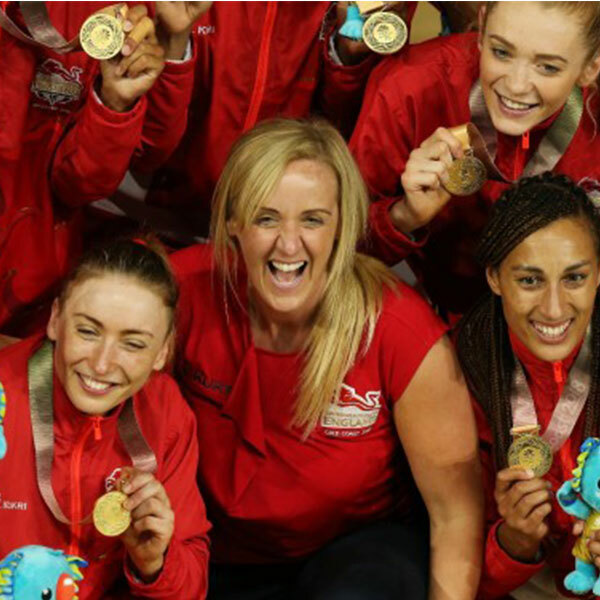 Well done Tracey Neville and all her team for a wonderful Gold Medal performance, especially against the Australians on their home patch! Netball looks to be moving in a great direction and effective leadership will play a huge part in this.